"I can only speak to myself." True -- and yet we must listen. Sometimes his accidental wit speaks louder than any prepared statement. "I always jest to people, the Oval Office is the kind of place where people stand outside, they're getting ready to come in and tell me what for, and they walk in and get overwhelmed by the atmosphere. And they say, 'Man, you're looking pretty.'" "I'm honored to shake the hand of a brave Iraqi citizen who had his hand cut off by Saddam Hussein." 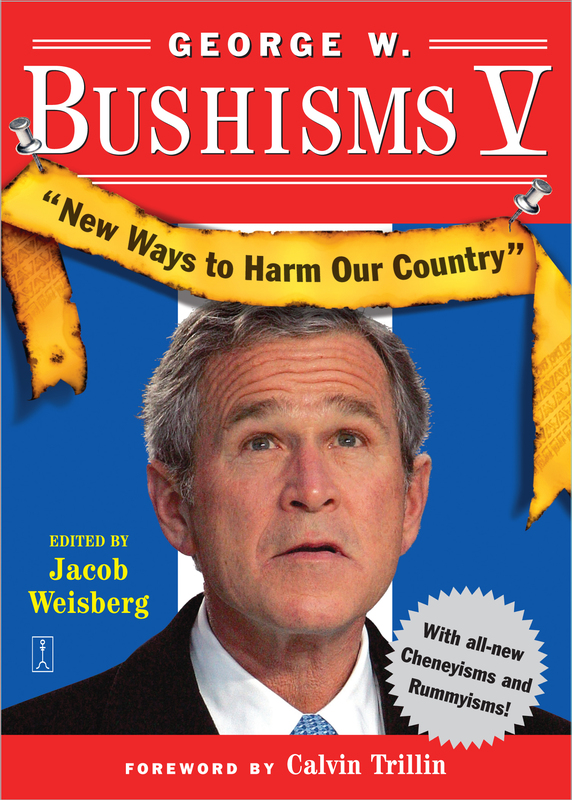 Thanks to the faithful work of Jacob Weisberg, the wisdom of George W. Bush -- America's Malapropist in Chief -- has been carefully preserved for the ages in annual editions. Now that the president is armed with a new (and unprecedented!) popular electoral victory, America can breathe a sigh of relief -- or, as the president once put it, we can "thank our blessings." The language experiments will continue. Stand-up comedians will enjoy full employment. With George W. Bushisms V, the second term truly begins.